Wolfe Creek Crater National Park lies 145 kilometres from Halls Creek via the Tanami Road and access road (gravel and only accessible to conventional vehicles during the dry season), a two to three hour drive. All access within the national park is on foot. The best time to visit the park is from May to October, when the weather is fine and temperatures are moderate. Dating has shown that the meteorite crashed to Earth around 300,000 years ago. It would have weighed more than 50,000 tonnes and is thought to have been travelling at 15 kilometres a second, a speed that would have taken it across Australia in five minutes. The Wolfe Creek meteorite crater was only discovered by Europeans during an aerial survey in 1947. However, it has long been known to Aboriginal people, who called it Kandimalal, and tell of two rainbow snakes who formed the nearby Sturt and Wolfe Creeks as they crossed the desert. The crater is believed to be the place where one snake emerged from the ground. Sightseeing, walking, photography and nature observation are the most popular activities. Viewing the crater rim is a must. A 200 metre return walk to the top of the crater rim involves a steep rocky climb. Climbing down into the crater is not permitted because the steep terrain and loose rocks make it dangerous. Among the broken rocks on the crater wall you may see a brown ring-tail dragon stalking insects that frequent the flowering shrubs. Mammals are active at dawn and dusk, avoiding the heat of the day. Spectacular and noisy Major Mitchell cockatoos harvest seeds from the wattles and paperbarks of the crater floor. A camping area in the national park is free to visitors and includes cleared sites and toilets. No water is available so please bring ample supplies with you. 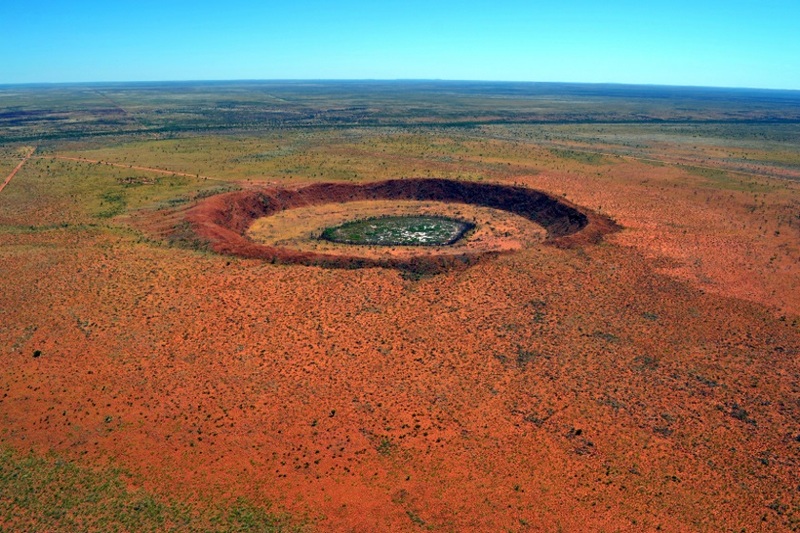 Another spectacular way to view the crater is to take an aerial flight from Halls Creek. Pop into the Visitor Centre for more information. We recognise and acknowledge Aboriginal people as the traditional custodians of Wolfe Creek Crater National Park. Leave rocks and cultural artifacts as you find them.